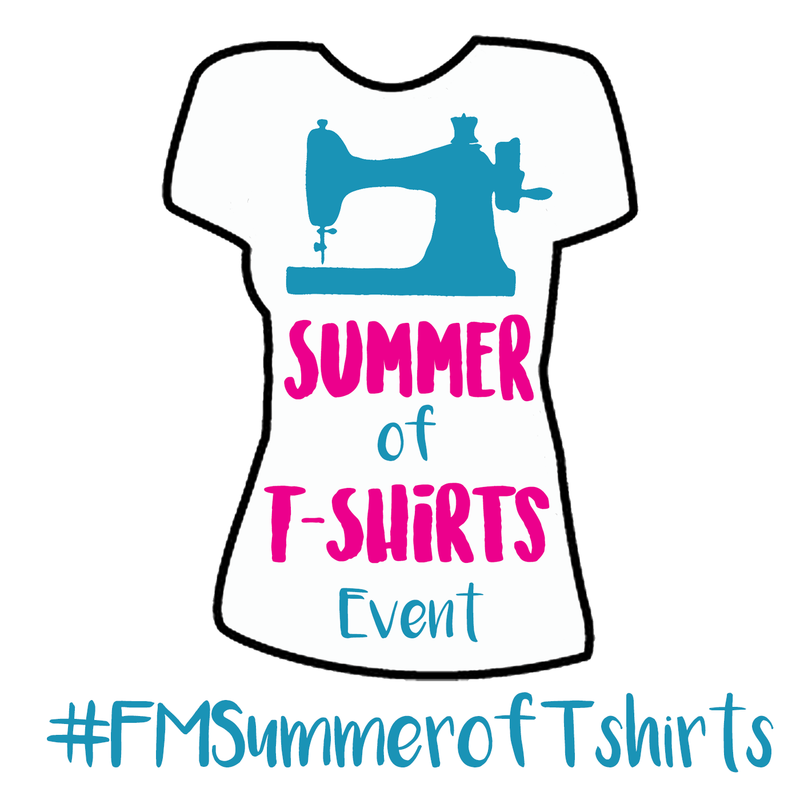 Fabric Mart Fabricistas: Introducing....Summer of T-Shirts Event! There are a lot of t-shirt patterns out there. The big 4 pattern companies have a number of different options and the same with the independent pattern companies. Everyone needs a basic t-shirt in their closet right? Well after you make the t-shirt for the tenth time, you might be sort of tired of it. So why not change it up a bit? Over the past few months, I have seen so many creative sewers (professional and ameteur) pattern hack t-shirt patterns and create all new designs. I've seen them alter the pattern into something that you don't even realize was a shirt and I've seen sewers alter their fabric or combine unusual fabrics together to make something really interesting. This summer, follow the Fabricista blog in our adventure of everything t-shirt. I have lined up some of your favorite sewing experts and sewing bloggers for the "Summer of T-Shirts." Every Monday we will post a new t-shirt project. The pattern hack may be very simple, other times it may be pretty extensive. But the great thing about this event is that it will be available forever! Some of you may take a break from sewing over the summer. So in the fall when you pick it back up, refer to our blog for all the posts. If you sew along with us, share your finished garments with us! 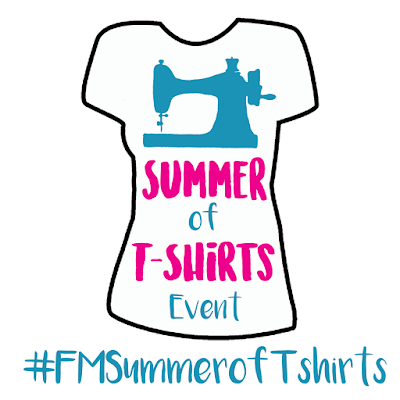 Use #FMSummerofTShirts on Facebook or Instagram when posting photos of your finished t-shirt hacks. You can use our ideas or if you have your own t-shirt hack idea, share it with us too! At the end of the summer, we will compile all the people that used the hashtag and you will be entered into a random drawing for $75 gift certificate to Fabric Mart! The first event will go live on Monday, June 20. We will share some of our favorite t-shirt patterns. What are some of your favorite t-shirt patterns? Share your ideas with us! Fun! I sew a lot of tshirts for everyone in my family. For myself, I love the Deer and Doe Plantain and the Maria Denmark Kirsten Kimono. For my husband - the Thread Theory Strathcona Henley. And for my kids, the Oliver+S School Bus T and Field Trip Raglan. Great summer event! can't wait to get some ideas and hopefully share some of my makes too!